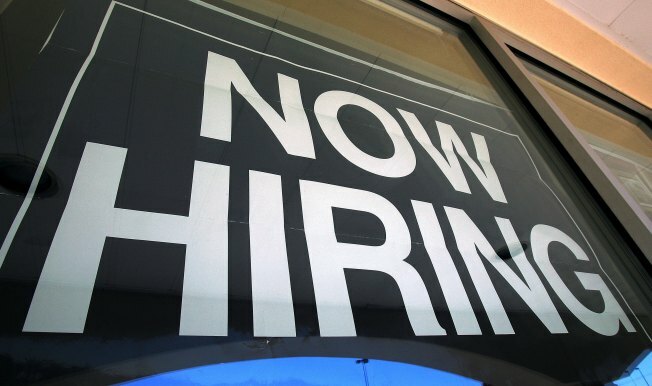 The good news is that the Washington region -- fueled by federal and local government spending -- is expected to need to fill about 470,000 new job positions during the next decade. The bad news is that many of those jobs are just to replace Baby Boomers beginning to retire, and some officials warn that the historic levels of government spending is creating a "bubble" that ultimately will crash and affect not just government but hundreds of thousands of private sector workers that depend on government contracting. "We think the outlook is good for the future and is better here than any other major metropolitian area in the country, and it's because we have a rich uncle," said Steve Fuller, an expert on job trends in the Washington region from George Mason University. Fuller noted some jobs may not materialize soon because some Baby Boomers who had planned to retire now expect to work a few more years because the bad economy has wrecked their retirement plans. But the real bad news at a business forum put on by Bisnow, a local business monitoring group, came from former Virgina Rep. Tom Davis. He warned that super-heated federal and local spending is creating a "bubble" that will some day force wrenching economic pullbacks. "Government still drives this region," said Davis, now in private business himself. But he said there are "lurking clouds in the background ... and if they're not addressed ... government is the next bubble." Davis warned the crowd of busines leaders at the Ronald Reagan Building that the federal deficit will double within just a few short years. "I don't think there's anything that's going to stop this," he said. "This is where we are headed." When government is stretched too far -- like a General Motors or other major company -- it will inevitably have to retrench, Davis said, and that will affect the businesses clustered in northern Virginia, the District and suburbs in Maryland. "We have some huge, longterm structural problems with our debt that are going to force some tough decisions by governments,' Davis said. "That will affect this region and affect all of us." And there was more sobering news. Robert Peck, the federal official in charge of all federal government leasing, said he's under orders from President Barack Obama to cut federal leasing by about $3 billion by 2012. And he said his agency, the General Services Adminstration, is going to go after federal agencies that are holding on to unused space. "A lot of agencies have a hope, a dream that some day that piece of land they've been holding on to will actually get an appropriation and they'll get to build the facility that they've been dreaming of," Peck said. "We're probably going to tell them, 'Time's up.'" Go to www.Bisnow.Com to see more on the forum.